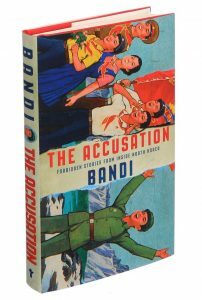 A collection of fictional short stories about life in North Korea, the content of Bandi’s The Accusation is presented anonymously (Bandi is a pseudonym) after being smuggled over the border to the South. 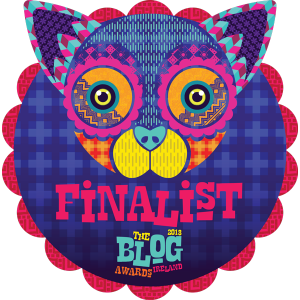 Despite being presented as fiction, the stories seem to contain a large kernel of truth. Passed from a defector to a member of the Citizens Coalition for Human Rights of Abductees and North Korean Refugees in Seoul, these stories deal largely with the dynamics of everyday life in the North. In one, a large group struggles for sustenance and direction as a gruelling train journey is held up by the safety requirements of Kim Jong Il on the move. Another portrays a tiny moment that changes lives, as a young child grows to fear the symbolic portraits that occupy Pyongyang, and the entire family suffer the consequences. In a third, a man’s efforts to spend time with his dying mother take a tragic turn as he battles red tape. The characters are at mixed levels of society, but largely not on the bottom rung of the North Korean social scale; while there are references to prison camps, no story is set in one. Instead, they portray everyday types in cities and villages, often non-specific in their location, and take in family life, political interference and the practical difficulties of survival. Whether about food or family, there’s an underlying desire to escape Pyongyang’s more obvious suppressions of freedom. Dated in the late-80s and early-90s, these tales – simply for portraying the Kim regime in an oblique but obvious bad light – would constitute an act of severe rebellion in North Korea. The best-case scenario for the author, were he to be caught, might be an extended spell in a prison camp, yet at first glance, these passages portray such simple aspects of life in the Hermit Kingdom. The simple nature of the stories lends itself to a suppressing, overbearing view of horrors and hardships. The presence of fear is like a constant background hum crawling from and between the lines of every page. The ‘citizen’s perspective’ lacks the horrifyingly grandiose nature and exaggerated ridicule of books closer to the leadership, but aligns with the ‘don’t draw attention to yourself’ life of the average person portrayed in many escapees’ memoirs. Of course, there are inevitable question marks over the origins of the text. The press release itself contains the words “if any of it is to be believed” in the very first sentence, and while the nature of The Accusation adds to the mystery, the authenticity of the book is unquestionably under dispute. 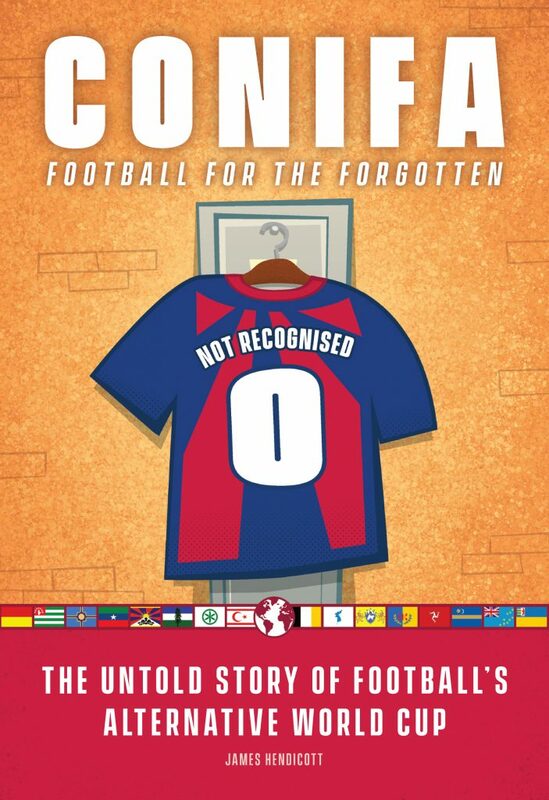 That said, having visited North Korea twice and read many of the books exploring the country and its people released in recent years, The Accusation does feel to me like something based in the real. It covers the same well-trodden paths: intricate networks of government tentacles into society, harsh restrictions and a sense of difficulty in the arbitrary. The afterword, which deals in the transportation of The Accusation from North Korea to South, describes the smuggling of a 750-page loose-leaf document through a Chinese visitor spending time with relatives. For the first time in the text, it hits directly on North Korea’s issues, talking of the famine around the time of writing, author Bandi’s role in a “central government committee” and the necessity of transporting the documents sandwiched between accepted books in praise of Kim Jong Il and his government. For those who don’t know the politics of North Korea well, this is essential context: a tacit confirmation of the dingy undertones of the book that both justifies and confirms the extensive, Kafka-esque hints at the worst. The flip side of the more transparent change in tone is the ammunition it might provide for cynics and sympathisers: South Korea has also been known to use propaganda across the peninsula, and the vagueries of the manuscript’s ‘escape’ story give strength to an inevitable ‘at odds’ interpretation: that the entire text, in fact, originated in Seoul, and aims to undermine the North. That’s not impossible, nor is it likely to ever be proven conclusively one way or the other, but the stories stand up in their own right and portray ideas that seem mild compared to much of what emanates from North Korea’s escapees. It’s the simple ways in which freedom is restricted in North Korea – fictional or not – that make this such a fascinating (and at times devastating) piece of fiction. Don’t draw your curtains at the wrong time, and best of luck even getting by if your child fears the image of the Dear Leader. Stick to one of the small number of state-sanctioned haircuts. Travel without a travel pass and risk death on every corner. And through it all, your very oppressor is to be treated like a god. The story of an elderly woman who comes into direct contact with Kim, forced to accept a lift after his travel causes difficulties in her life, is perhaps the most poignant. She’s later used as a PR tool in her own town, left listening to her voice through loudspeakers proclaiming the greatness of the experience, the recording made under obvious duress. The overall message of the text centres on exactly that suppression; the western world can’t really contemplate an absence of freedom of will and freedom of action that reaches quite this intimately into our lives. It makes Snowden’s spying leaks look like child’s play. Whatever the level of ‘truth’ in the portrayals, The Accusation certainly tells a story beyond its words. Its profound sense of discomfort drips through the pages and into the memory.